Mumbai: The volatility in the rupee, which fell to a record low on Tuesday, is a reflection of the uncertainty in the international market, the finance minister said. “We expect there will be a self correction in the market," he told reporters without elaborating. The rupee hit an all-time low of 52.73 against the dollar as oil refiners and other companies scrambled to buy the US currency, taking its slide to 16.8% from its 2001 high in late July. 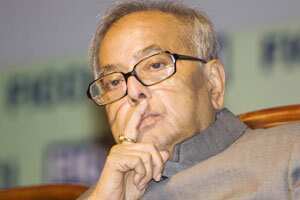 The RBI is monitoring forex markets and will take required action as the situation unfolds, Pranab Mukherjee said.